BAZE Specialty Pharmacy, LLC was originally established in August of 2006 in Starkville, Mississippi. The owner, Athelia Balams Eze, Pharm.D, CDME, expanded and opened their doors in Downtown East Point in 2016. 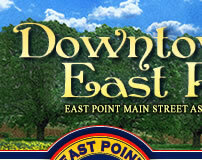 Downtown East Point was chosen as the ideal location because of its small town feel and southern hospitality. ". . . a small, independently owned pharmacy with competent staff capable of providing quality care and a high level of personalized customer service to their customers." 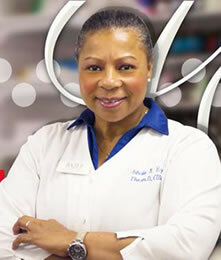 BAZE Specialty Pharmacy accepts Medicare, Medicaid and all other insurances. They offer customers all the traditional pharmacy offerings, but in addition, they offer orthotic medical supplies, diabetic shoes, diabetic supplies, nebulizers and primary health services on site. Additionally, they offer FREE delivery for some services. They can also service customers of Express Scripts and they pride themselves on the fact that they are a small, independently owned pharmacy with competent staff capable of providing quality care and a high level of personalized customer service to their customers. BAZE Specialty Pharmacy’s intention is to become a location for specialized job training of bright minds interested in pursuing a career in allied healthcare.